Can antioxidant-rich fruit help treat diabetes? Nopal is a cactus grown in Mexico, southwestern regions of the United States, the Mediterranean, and parts of South America. High in soluble fiber, vitamin C, and other vitamins and minerals, nopal is especially rich in antioxidants, known as carotenoids, that protect your cells from damage by free radicals. Nopal, more commonly known as prickly pear fruit, tastes like a cross between watermelon and bubble gum. The cactus can be peeled, seeded, and eaten raw. The flat stems and pads, referred to respectively as nopales or nopalitos, can also be eaten when young and tender. Nopal is commonly consumed as a food and health remedy. There are also nutritional supplements that contain nopal in tablet, capsule, and liquid formulations. In addition, some have suggested that nopal may help stimulate the immune system, reduce inflammation, enhance athletic performance, and improve liver health. Some of these claims are better supported in research than others. While quality research on the benefits of nopal is limited, there is some tangible evidence that nopal may be useful in certain situations. Several studies have suggested that nopal may offer protection against the development of diabetes or aid in its treatment. In a small study published in the Journal of the Academy of Nutrition and Dietetics, researchers found that people who ate nopal with a high-carbohydrate breakfast had lower blood sugar and insulin levels after the meal. The results were echoed in a survey from California in which nopal, when taken together with diabetes medications, appeared to regulate blood sugar better than taking the drugs alone. Nopal may help relieve the symptoms of alcohol hangover, according to a 2004 study published in the Archives of Internal Medicine. For this study, 64 healthy young adults received either a nopal extract or a placebo five hours before consuming up to 1.75 grams of alcohol per kilogram of their body weight. According to the research, people who took nopal extract before drinking alcohol experienced fewer hangover symptoms the next morning, including nausea, dry mouth, and loss of appetite. Nopal also appeared to reduce levels of C-reactive protein (a marker of generalized inflammation) in blood samples compared o those from the placebo group. The study did not take into account other factors that may have explained the difference, including weight and the history of alcohol use. Moreover, C-reactive protein has never been considered an accurate means of measuring the physical or neurological effects of alcohol hangover. A review of studies published in BMJ, which examined conventional and alternative hangover remedies, found no compelling evidence to support any of the prescribed interventions. Can Exercise Help With a Hangover? A small study published in the American Journal of Clinical Nutrition suggests that nopal may help fight oxidative stress. Oxidative stress is a biological process in which normal cells are damaged by free radicals, increasing the risk of aging-associated diseases like cancer and atherosclerosis (hardening of the arteries). 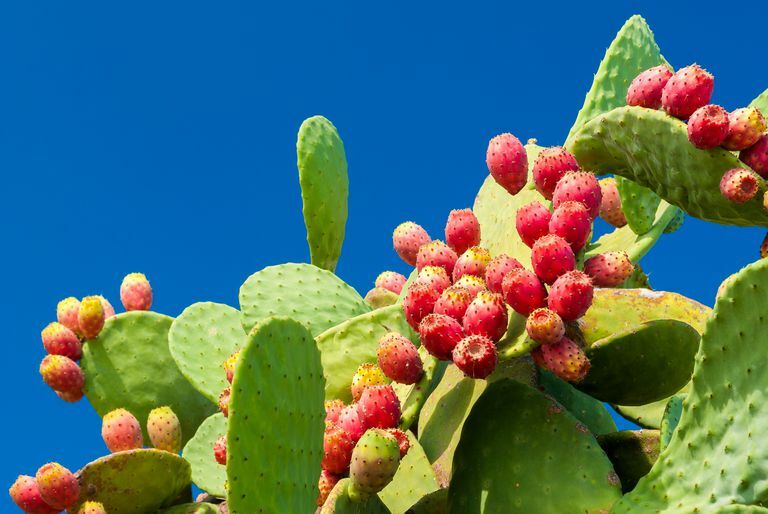 In a two-week trial involving 18 healthy volunteers, researchers found that fresh nopal fruit pulp helped reduce oxidative stress and improved the antioxidant status in blood samples. Despite these findings, there is no way to reasonably conclude whether the level of stress reduction would translate to actual disease avoidance. Claims that nopal can reduce non-cancerous prostate enlargement, known as benign prostatic hyperplasia (BPH), are largely overstated and primarily based on a test tube study conducted in 1998 involving nopal blossoms and cultured human cells. There is also weak evidence that nopal may improve cholesterol profiles and reduce triglyceride levels in the liver, reducing the risk or severity of nonalcoholic fatty liver disease. Although nopal is generally considered safe when consumed in reasonable amounts, little is known about the long-term effects of nopal consumption. Common side effects include nausea, diarrhea, bloating, headache, and increased stool volume and frequency. Since nopal may lower your blood sugar, taking nopal in combination with diabetes medications is unadvised. Doing so may lead to hypoglycemia (low blood sugar). This is evidenced in part by the previously mentioned research in California in which eight people developed hypoglycemia when taking nopal and their diabetes drugs together. This included the diabetes drugs Glucophage (metformin) and Glynase (glyburide). Keep in mind that supplements are largely unregulated in the United States and are not under the same burden of testing as pharmaceutical drugs. As such, you should not take a nopal supplement without letting your doctor know or use it as a means to avoid or delay the standard care of treatment for diabetes or other health conditions. Furthermore, the safety of supplements in pregnant women, nursing mothers, and children has not been established and shouldn't be presumed to be safe because it is natural. Nopal should never be used as a means of tolerating increased alcohol consumption. In Mexico, South America, and the southwestern United States, you can often find fresh nopal in local food markets. Prickly pear fruit can be found in many high-end grocery stores. Fresh nopal should be peeled and can be eaten either raw or cooked. While fresh and packaged nopal juice has become increasingly available in specialty supermarkets, be sure to check for added sugar if you are diabetic, prediabetic, or on a low-carb diet. Nopal supplements are sold in many natural-foods stores and drugstores and are widely available for purchase online. While there is no standardized dosage for nopal supplements, most manufacturers considered a daily 1,000-milligram dose both safe and tolerable. Eating nopal is one way of adding variety to your fruit intake. However, due to the lack of quality research, nopal should not be considered a viable treatment for diabetes or any other health condition. If you're still considering nopal as a form of complementary therapy, let your doctor know. The more that your doctor knows about the drugs you are taking—whether pharmaceutical, traditional, or over-the-counter—the less likely you will be to experience side effects or interactions. Bush, T.; Rayburn, K.; Holloway, S. et al. Adverse interactions between herbal and dietary substances and prescription medications: a clinical survey. Altern Ther Health Med. 2007 Mar-Apr;13(2):30-5. López-Romero P, Pichardo-Ontiveros E, Avila-Nava A, et al. The effect of nopal (Opuntia ficus indica) on postprandial blood glucose, incretins, and antioxidant activity in Mexican patients with type 2 diabetes after consumption of two different composition breakfasts. J Acad Nutr Diet. 2014 Nov;114(11):1811-8. DOI: 10.1016/j.jand.2014.06.352. Pittler MH, Verster JC, Ernst E. Interventions for preventing or treating alcohol hangover: systematic review of randomised controlled trials. BMJ. 2005 Dec 24;331(7531):1515-8. DOI: 10.1136/bmj.331.7531.1515. Tesoriere L, Butera D, Pintaudi AM, Allegra M, Livrea MA. Supplementation with cactus pear (Opuntia ficus-indica) fruit decreases oxidative stress in healthy humans: a comparative study with vitamin C. Am J Clin Nutr. 2004 Aug;80(2):391-5. DOI: 10.1093/ajcn/80.2.391. Wiese J, McPherson S, Odden MC, Shlipak MG. Effect of Opuntia ficus indica on symptoms of the alcohol hangover. Arch Intern Med. 2004 Jun 28;164(12):1334-40. DOI: doi.org/10.1001/archinte.164.12.1334.